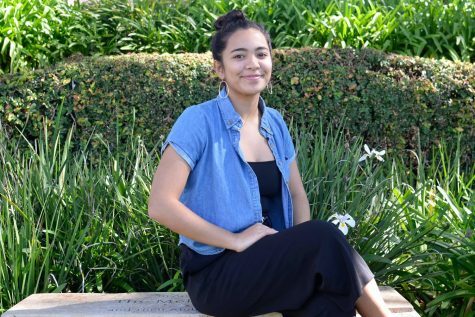 Mila Kehano is currently a freshman at Seabury Hall. Born and raised on Maui, Hawaii, Kehano is an adventurous and enthusiastic person who enjoys traveling to various places such as New York, Seattle and Venice. Even though Kehano is 15 years old, she has visited over 10 countries and almost everywhere in the United States. As a traveler, Kehano takes her camera wherever she goes; she enjoys making edits of her trips but isn’t quite ready to show them to the world. If she is not off adventuring around the world, Kehano is dancing in the studio all day, every day. She dances with Maui Academy of Performing Arts and previously went to Alexander Academy. She has also just joined Seabury Hall's Dance Company. Kehano takes dance very seriously because you can tell a story with your body. Whether it be happy or sad, dance is a beautiful thing to watch and an even more beautiful thing to perform. Some day, Kehano hopes to become a professional dancer, train at top notch studios, and teach at a dance convention.